A Family Road Trip Down South! South Western Australia road trip with the family will be an amazing vacation! A lot of pleasure can be obtained by road trips. When you travel around from place to place, you can check on the hotel or guesthouse deals that are available as you tour, or alternatively, if you enjoy camping, you can pull into a campsite for a night or two and spend as much time as you want on the road. Singing songs while out on the open road as a family can bring you all much closer together and help solidify the bonds between you. One thing South Western Australia is not short of is space and if you have never previously gone on a road trip, at least this is one that you can share with your children! There are lots of places you can visit and you might want to follow the route down the coast, using half of these places to stop; then back up stopping at the rest. To make your decision a little easier, we’ve taken a look at the locales so that you know what they have to offer for your family’s stay. South Western Australia -Where to Stop! The beaches are fantastic and offer some of the best windsurfing and kitesurfing in Western Australia. If you have young children, you might not want to visit Singleton Beach and Golden Bay, as they focus strongly on water sports and are not patrolled. Sea kayaking is available, but for a more leisurely experience, you can hire a boat and go dolphin or seal watching. An ideal spot for families; there is a summer carnival near the beach, and you can watch dolphins on the estuary or even go crabbing! You could hire a houseboat for a few days and spend some time on the river. There’s plenty of shopping opportunities in the local market, or head inland to Peel Zoo to get up close and personal with native animals. Read more of Peel Zoo here! Koombana Bay is home to a pod of dolphins and can be seen near the beach in the early mornings. 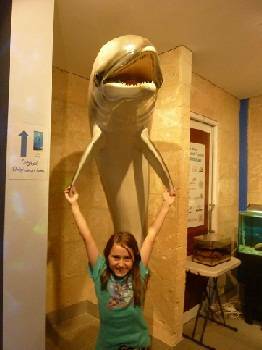 Kids will love The Dolphin Discovery Centre! Get there early to increase your chances of seeing the dolphins. A lovely beach to wait for the dolphins to appear! Bunbury is the perfect mixture of sunshine and sea, with the pace of the countryside. If you’re visiting in January, make sure to take in the Festival which boasts lots of different events. Known for its Geographe Bay, there is a lot of conservation activity at work in the local area to help protect the natural beauty of the region. 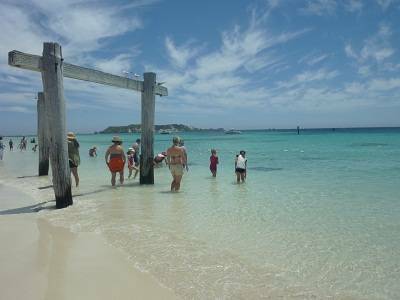 Take a stroll on the 1.8 meter jetty and see the under sea aquarium at the end! If you want to take the train on the jety be sure to book well in advance as we didn't and it was fully booked for two days! 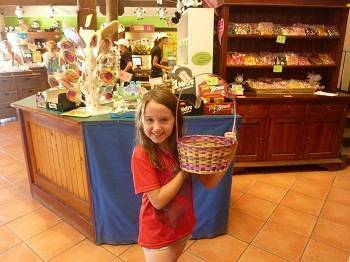 Be sure to stop at Bettenay’s Margaret River nougat Company! With a range of flavours available; the children will be enchanted by the tasting room. There’s a lot of beautiful scenery, and the coastline is famous for surfing. Famous for white sandy beaches, this stunning seaside resort is a firm favorite with families. Friendly stingrays swim close to shore, feeding on scraps left behind by fishermen. The Leeuwin-Naturaliste National Park is located close by and it is possible to camp in the area, or you may decide to hire one of the cabins or chalets that are available to let. This is the most AMAZING beach I have seen in my life -just fabulous!! A diverse amalgamation of countryside and stunning coastline, Augusta offers whale watching tours from June to September, Cape Leeuwin Lighthouse which is open to the public, and a shower of aquatic activities. You may even want to explore the historic caves on a ferry cruise up the Blackwood River. 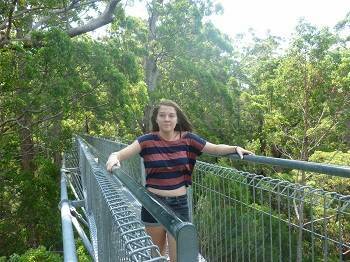 This is a small town, surrounded by Karri, Marri and Jarrah forests containing the largest hardwood trees in the world. Springtime in the forests is a real highlight, with a stunning array of wildflowers. This town is a must for nature lovers. One of South Western Australia's prettiest towns. As well as the obligatory forests and beaches, Denmark boasts the Bushwood Factory and Café, with many of the plants and produce grown around the premises. Children will love the Denmark Chocolate Company and the Dinosaur World teaches visitors about endangered species and a skeleton of the only Tyrannosaurus Rex in Australia. 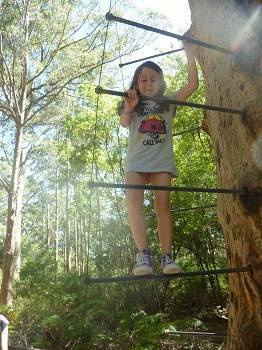 Your miniature eco-warriors will love it!Don't forget the Tree Top walk -this is spectacular looking above the forest at 40m high! Step aboard Silverstar II for an Albany Ocean Adventure whale watching. This family friendly trip is aboard one of the most stable vessels of its size and offers a money-back guarantee if you are sea sick! There is another boat in the area, The Brig Amity. A replica of the original ship which carried passengers with orders to form a settlement in the area, this full-size ship carried more than 50 men, together with sheep and pigs for more than six weeks. You'll never run out of things to do in South Western Australia. Check out our things to do in Margaret River for more great things to do!